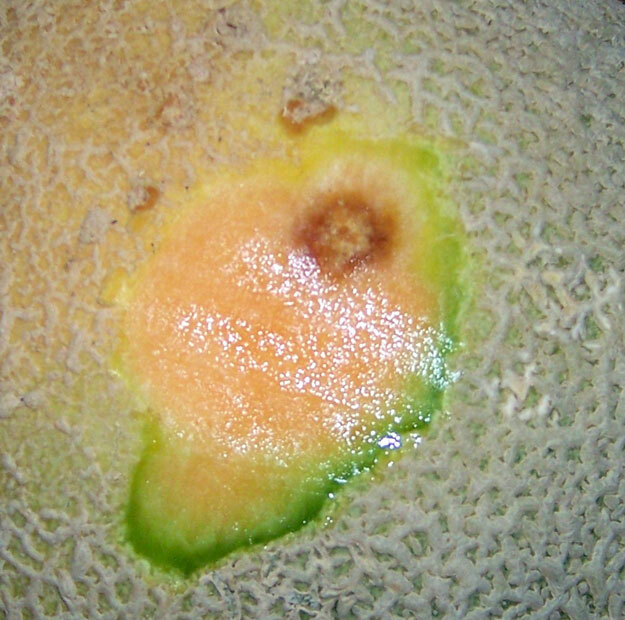 From this official USDA visual aid, you can see this looks like a scar, or blemish on the surface of the cantaloup. It is firm and dry, and would give you no reason to think this could be a problem. But if you carefully cut (slice) this apparent scar, you may encounter the fusarium decay. If the area you cut is only a scar, there will be no discernible damage under the surface. If the area you cut is fusarium decay the underlying flesh will be affected by a reddish-brown discoloration. 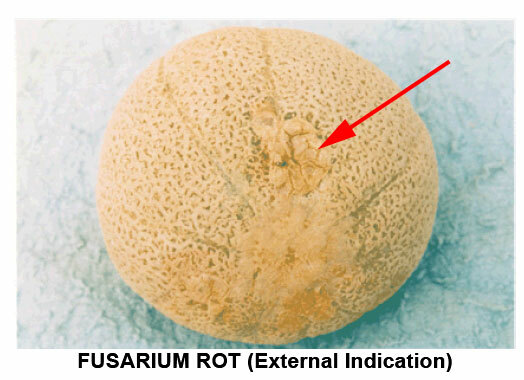 The extent the fusarium decay goes into the flesh may vary, depending if it is in early or advanced stages of the decay. As the fusarium decay advances, it will become much easier to detect. The surface may be cracked, and weak to the touch. Sometimes a white mold will be visible. After making your slice the advanced fusarium may be soft, and moisture may exude from the decayed area if you apply pressure. 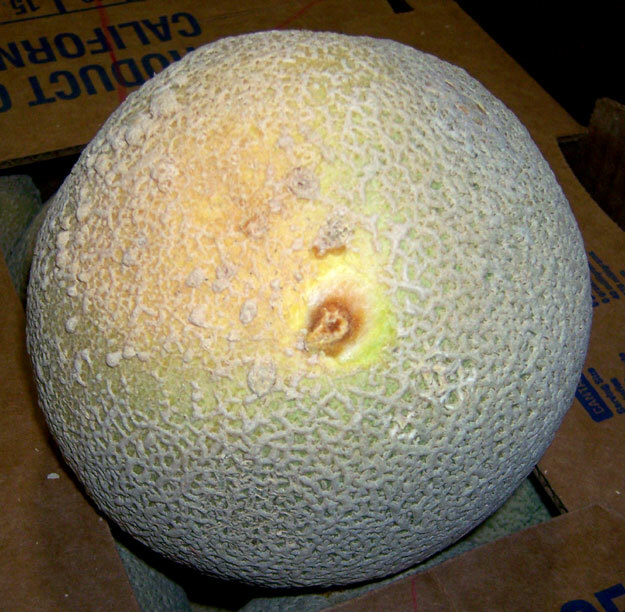 As with all decays in cantaloups, the U.S. Grade Standards only allow a 2% tolerance for decay, whether the decay is soft and mushy, affecting the stem scars or the sides of the melon, or being the dry-type, fusarium decay. Decay is decay.